Physics majors at the University of California, San Diego will have the opportunity to gain experience and training on the same high-tech tools that industry researchers use, thanks to contributions from Quantum Design. The San Diego-based technology company—which has strong alumni ties to the campus—is providing in-kind and cash gifts totaling $279,000 to update and modernize lab courses and instructional materials in the department of physics. Co-founded by UC San Diego alumnus Ronald Sager, Quantum Design specializes in the manufacturing of complex measurement instruments used in fundamental research of materials. Its tools are used by universities and research labs worldwide to study the characteristics of materials—often at very extreme temperatures—and have become the reference standard for magnetics and physical property measurements. 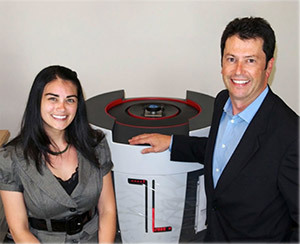 Both Spagna and Neil Dilley, applications physicist at Quantum Design, did their graduate studies with UC San Diego professor Brian Maple. They credit the experience with teaching them to be persistent in problem solving, to think critically and to drive their own research projects—qualities that have helped them to be successful in their professional careers. The department of physics and Quantum Design are collaborating to develop new curriculum for undergraduates that will provide practical experience using the latest industry research tools. In addition to learning the tools, the training is intended to teach students how to use their physics background to think critically about scientific experiments, rather than taking a passive, “push-button” approach to conducting research. Over the years, close to 100 UC San Diego students have interned with Quantum Design. In 2012, the company established the Ronald E. Sager Young Scientist Scholarship to support a female student in physics. Ivy Lum, the inaugural recipient of the award, recently completed graduate studies in the materials science and engineering program with a Master of Science degree, and is now working at Quantum Design. In honor of the gift, the department of physics will host an invite-only symposium on Saturday, Oct. 18. 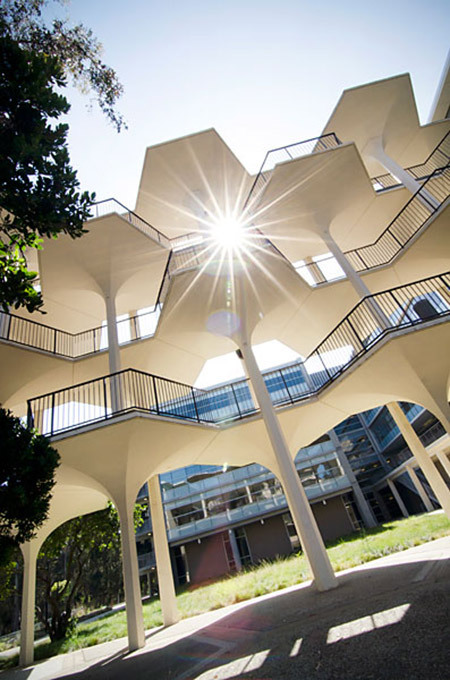 To learn more about the UC San Diego department of physics, and opportunities to support its mission, visit physics.ucsd.edu.